pursue their knowledge about health and nutrition further. It is helpful to learn from each other as well as experts and books. 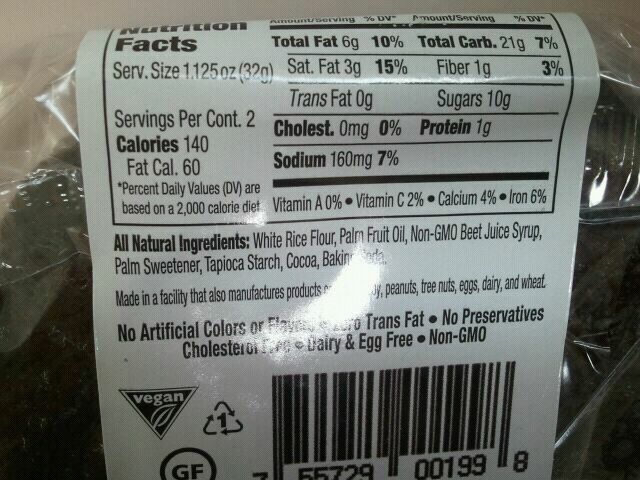 So, before eating this, in the back of my head I thought, aw man, DARK chocolate? Boo! But who am I to judge based on the name? Who knows what it will taste like? It could be cookie heaven. As you can probably see, it was a bit crumby, and broke apart very easily. 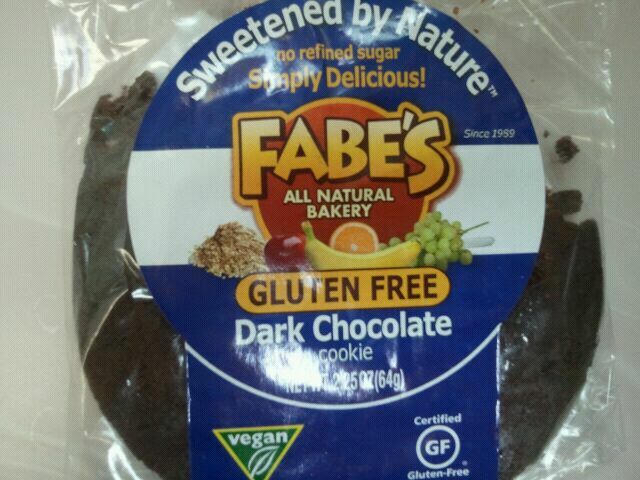 Kind of like the other gluten free cookie by Fabe’s. It was dense, and a bit “piecy” as I chewed it, but wow was it DE LIC IOUS. And yes, delicious is three words now, you didn’t know that? ; ) (kidding). Literally, this cookie melted in my mouth as I ate it. 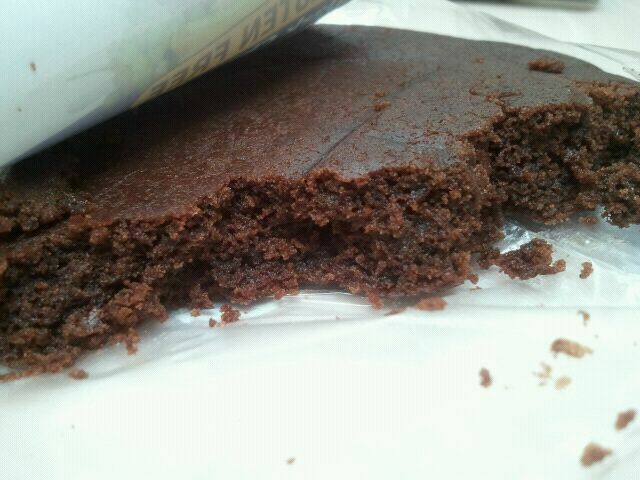 It was very sweet, and tasted like a brownie. Or just like chocolate frosting. Actually, how about a brownie WITH chocolate frosting on it. SO GOOD! Seriously, Fabe’s knows how to make cookies. Yes, there are some crumb issues going on, so I wouldn’t reccommend eating this while your wearing white or at a friend’s house who can’t stand crumbs anywhere. In fact, I advise you don’t eat this cookie at that friends house, or I predict he or she will be very angry at you. However, feel free to eat it on your way out the door because you can’t wait until you get home. It’s that good. It’s so good I made up an imaginary friend for you who doesn’t like crumbs. Your welcome. ANYWAY, this one gets 4 1/2 stars. Again, the crumb/consistency of the cookie is a bit off, but the flavor is right on. And the nutritional facts will set you back 280 calories if you polish off the whole cookie (hey…don’t point your finger at me. I only ate 3/4 of the cookie this time! =) ). Regardless, I think you should try this if you have the chance to! I got this cookie to try for free from the company.